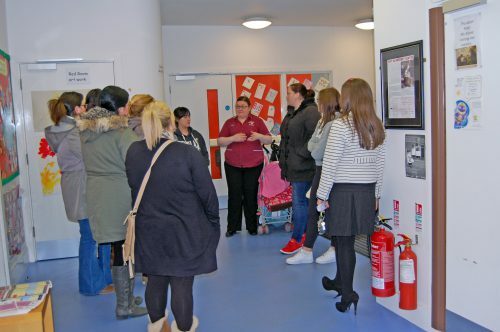 The North Belfast Social Enterprise Hub, led by Ashton Community Trust, is a signature pilot project of OFMDFM through the Delivering Social Change Framework that seeks to tackle poverty and social exclusion. The North Belfast Social Enterprise Hub, based at 52 York Street, and other Hubs operating across the city are available to new or existing social enterprises with an idea for a new product or service. 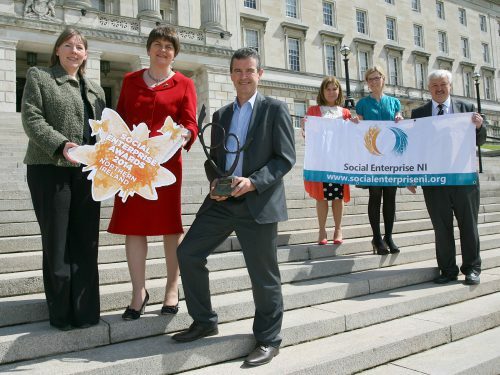 To date we have over 160 clients registered at the North Belfast Social Enterprise Hub. Together they represent a mixture of social entrepreneurs and community organisations new and existing. There are a number of clients test trading or trading their social enterprise ideas. All clients are kept up to date with current funding available, opportunities that arise specifically for social enterprises, regular webinars, and provided with factsheets on various topics, grant tracker updates and any other relevant information. Grant Tracker: Grant Tracker is Northern Ireland’s funding tool kit to assist in finding relevant funding for your project; it keeps on top of all available funding, deadlines and manages your application. Mentoring: All clients are matched to a mentor that has the expertise to assist with funding applications, write business plans, source and assist in writing tenders, strategic development etc. Training Workshops: There is no set calendar of training workshops as they are arranged based on need. To date we have ran workshops on topics such as governance, legal status, human resources, basis finances, marketing, leadership and strategic planning. “We would like to thank yourselves for the invite to the best practice visit at Bridge of Hope, it was brilliant to get to see how therapy rooms are set up. We were very impressed on how it was set up and also by how many clients they have supported and helped over the years. We would like to take the opportunity to wish everyone the best and keep up the great work! We highly recommend your services.” – Ken Boyle (Vice-chair).